motional blurring, e.g. caused by vibrations. In order to determine the reduction in quality of the image relay and to control the optical chain or individual links of the optical chain, a multitude of tests and test processes were developed. 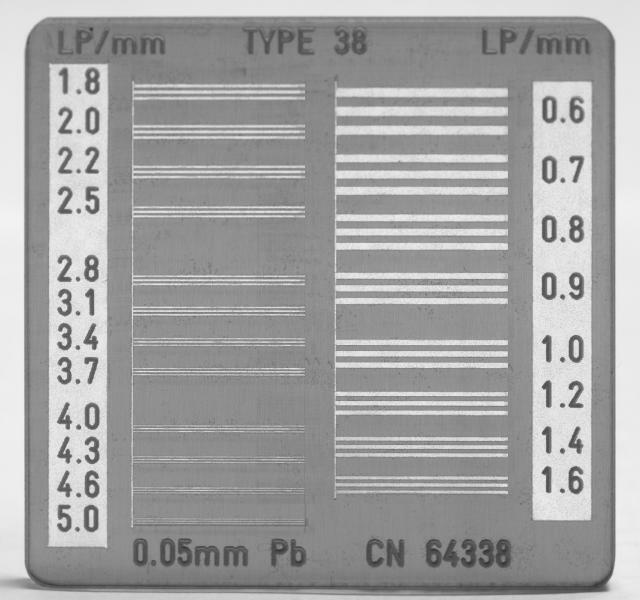 Tests made of X-ray absorbing material, which are described below, are especially tried and tested. Their handling is simple and easy to repeat. On the one hand it allows a quick survey of the resolution quality, but on the other hand it offers the possibility to find additional interesting quality parameters by further evaluations. 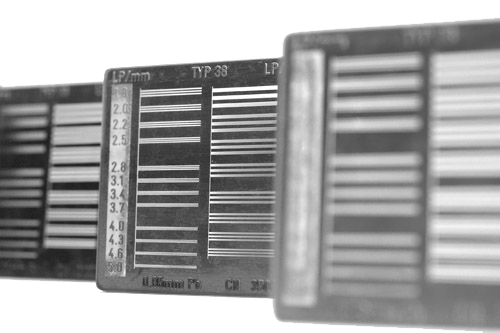 The offered test types are grouped into three categories: Tests for determining the visual resolution, for photometric measurement for the exposures and for determining the focal spot (MTF). If you do not find the item that you need, because you would like to have other resolutions, it is no problem to manufacture an item with your specifications. The standard models of our tests consist of a 0,05 mm lead foil between two transparent acrylic glass tops. 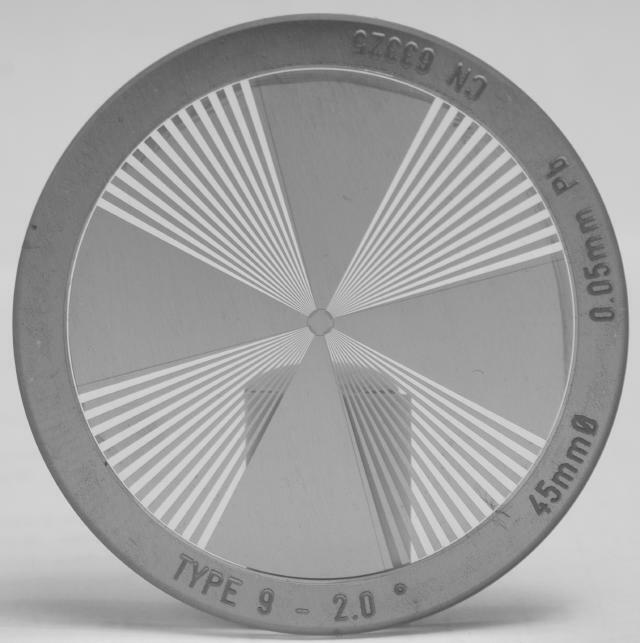 At special request, the tests can be manufactured with a lead foil thickness of 0,02/0,03/0,04/0,05/0,08 and 0,1 mm (other thicknesses at request). 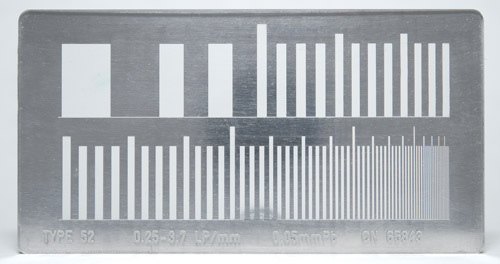 The thickness of the basic plate is 1 mm (2 mm with tests > 140 mm external dimensions), the covering plate is 1 mm thick. The local frequencies are indicated in "LP/mm" or "LP/cm". One "LP" consists of one positive and one negative line (bar b, or gap L) each of same breadth. The limit of a producable local frequency is given by the shaft proportion r = b/d ≥1, which means, it depends on the chosen thickness of the X-ray absorbing material. If the local frequencies cannot be marked by engraving (because of lack of space) the corresponding tests will be equipped with a diagram. 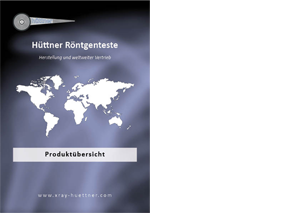 Our whole production is located in Germany. 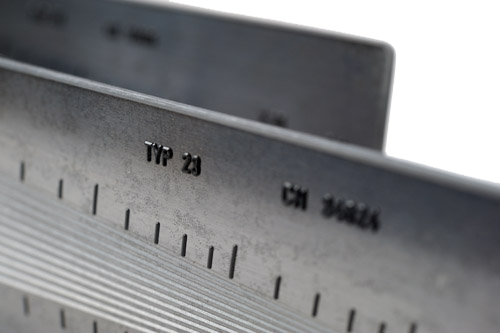 Due to our manufacturing process, we obtain extremely high edge sharpness and straightness. These unique characteristics have a direct impact on the quality of the results, which you will achieve with our products.